With the UK government and BAE Systems gunning for the lucrative $35 billion SEA 5000 contract, Australian politicians have this week met with their UK counterparts on the international stage. Defence Industry Minister Christopher Pyne held formal talks with head of the UK's Defence Security Organisation Simon Everest at the Defence Services Asia (DSA) 2018 show, while no formal talks were held with political representatives from Spain or Italy, who also have companies in the running to secure the SEA 5000 Future Frigates project. Minister for Foreign Affairs Julie Bishop has this week met with her UK counterparts before joining the UK Parliament in talking about investment in education. The meeting comes as the federal government discusses strengthening its trade and security relationship with the UK during the UK’s Royal Navy Type 23 frigate HMS Sutherland visit to Australia during its seven-month deployment in the Indo-Pacific. Minister Bishop concluded a trip to the UK in February where she spoke of Australia's relationship with the UK as "one of our closest international security partners". The minister, who sits on the National Security Committee that is responsible for key Defence procurement decisions, has firmly thrown her support behind growing the relationship with the UK in a post-Brexit world. "The UK is Australia’s second largest source of foreign investment and our fifth largest two-way trading partner, worth $27.5 billion in goods and services last financial year. I will support this trading relationship," Minister Bishop said in February. In a speech at the Australia-United Kingdom Chamber of Commerce, Minister Bishop also alluded to the nations' defence relationship, making mention of Foreign Secretary Boris Johnson's visit to Australia for last year's AUKMIN meeting. 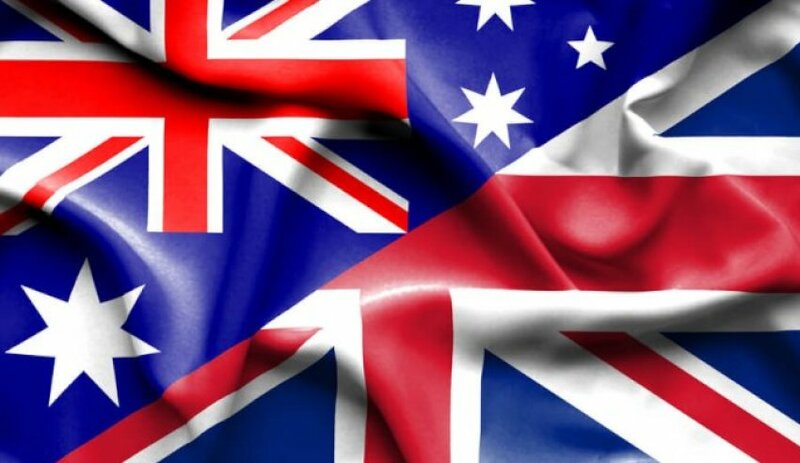 The UK government has also expressed support for a strengthened defence industry relationship with Australia. Parliamentary Under Secretary of State for Defence Procurement Harriett Baldwin visited Australia in November and announced the UK is looking into incorporating the Australian ‘CEAFAR’ radar, developed by CEA Technologies, on future British warships. The radar is already in service with the RAN, and a capability study to fit the radar to British ships will begin early next year. If successful, the UK would be the phased array radar's first international customer. Minister Baldwin's visit came just months after Minister for Defence Industry Christopher Pyne and the former secretary of state for defence Sir Michael Fallon held the first ever Aus-UK Ministerial Defence Industry Dialogue, discussing defence materiel and industry co-operation between the nations. Sir Michael said that selection of the UK's BAE Systems bid for the SEA 5000 project would create ample defence export and job opportunities for Australia. "It is being put forward to the Australian government by BAE systems who have a well established track record in Australia, a good record in local employment," said Sir Michael. "[It] will be be able to offer opportunities along the supply chain to a whole range of Australian companies." The former defence secretary was adamant that regardless of whether BAE's bid is successful, Australian companies would continue to win work on the UK's Type 26 program. "I expect ... Australian companies to be involved in that supply chain, producing the British frigate, whether or not the Australian government chooses the Type 26 design for their frigate," Sir Michael stated. Tasmania's Liferaft Systems Australia and Victoria's Mackay Consolidated Industries have won contracts to contribute to the UK's Type 26 frigates. Liferaft Systems Australia, which is also a supplier to the UK's Queen Elizabeth Class aircraft carriers, will provide the Type 26 Marine Evacuation System, while Mackay Consolidated Industries will supply pipe hanger inserts, a key component in reducing underwater noise that is essential for anti-submarine warfare. These contracts will secure more than 200 jobs across Australia and takes the number of global suppliers contracted to the UK Type 26 program to 44. The British firm and the UK government have also committed to the transfer of more than $1.5 billion of technical design and intellectual property if BAE Systems secures the SEA 5000 project. BAE Systems is offering the Type 26 Global Combat Ship Australia (GCS-A) for the SEA 5000 project. Fincantieri of Italy is offering its FREMM design while Spain's Navantia has put forward its F-5000 design for the project. The winner is expected to be announced after the federal budget this year. The vessels will replace the Anzac frigates from the mid 2020s. Australia and the UK have also moved closer to having interoperability across future army vehicles with the UK rejoining the Boxer program just weeks after Australia chose the vehicle for the LAND 400 Phase 2 project. Under the program the UK will explore options to equip the Army with the 8x8 troop carriers to modernise its vehicle fleet and meet the Army’s Mechanised Infantry Vehicle (MIV) requirement.